The holiday season has kicked off. The start of the fall weather is where it all begins. The first holiday that comes up is Halloween. This is the holiday that kids and adults dress up in costumes and head out for a sugary treat. Many families head out and go door to door collecting candy from each house. Other families choose to have a party with goodies and friends to spend time snacking and having fun. One of the best parts of the dressing up is getting to put on face paint and makeup to make the costume even more fun or scary. If you are dressed as a clown you need the white face and the red nose to make it look good. You just can’t be a scary zombie without using some face paint to make it look like your dead. If you have a get together at your house you can be sure that at some point the kids will get tired. This means they will probably lay on the carpet to watch a movie or sort through their goodies. They are not used to wearing the make up so they are not careful about it getting on the rug and carpet. LA Valley Steam Carpet Cleaning has some tips to help you remove Halloween face paint and makeup from your carpets, rugs & sofas. No matter what kind of stain that you are going to treat you always start the same way. You are going to need to remove any excess paint that is on the carpet. This can be done with a paper towel or a wash rag. If you skip this step you might make the spot even bigger and even harder to clean up. After you are confident that you have removed the excess you need to get a clean white wash cloth and soak it in water. Then add some cleaner that you have already tested for your carpets. Once you have the cloth soaked you should lay it on the spot and allow it sit there for about five minutes. After the five minutes is up you can move it off and use the same cloth to blot away the spot. Do not scrub at it because this can cause the stain to spread and also can cause damage to the carpet fibers. After you blotted away the stain you can use a new fresh rag soaked in plain water to rinse away the cleaner. 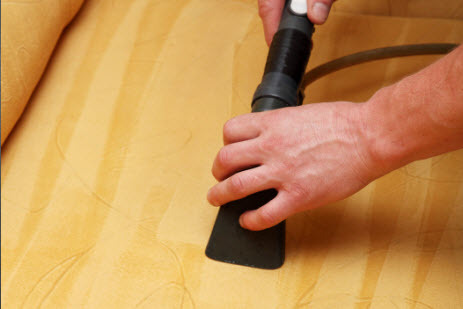 If the stain remains or you don’t feel up to tackling it on your own, call LA Valley Steam Carpet Cleaning for expert floor and upholstery cleaning and stain removal. It is always a good habit to have set chores done daily, weekly, monthly, quarterly, bi-yearly and once a year. Properly cleaning and maintaining our homes only prolongs the life of any materials used. It promotes a clean healthy environment, a healthy life style and a healthy mind. But with anything, it is a wise investment to have a professional come and do a deep cleaning on the various surfaces that need it. Tile and grout is found in diverse rooms like kitchens, bathrooms, entryways and living areas. Build up of daily living most often than not go untouched. Neglect is obviously to blame in a few cases, but every day consumers don’t get the quality cleaners professionals have access to. Having a trained expert from LA Valley Steam Carpet Cleaning can guarantee the tiles will be well preserved as they are being cleaned. As opposed to attempting to take on this chore with rentable equipment, a professional knows how to use the tools without compromising the integrity of the tile or grout. Grout can actually be broken down easily if not properly cared for. A skilled professionall has the know how to clean the dirt, and mildew from the grout and make sure it is properly sealed to extend the life of your grout. Grout is porous by nature, and particularly needs a good deep cleaning. If mildew or mold has already began to take hold of the grout, only a professional has a strong enough detergents to remove it from the base. Most detergents grades that homeowners have access to can maybe touch the surface but it is extremely important mold gets removed before damage to the structure itself deteriorates your homes foundation. 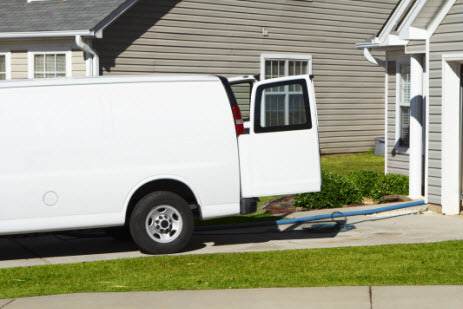 LA Valley Steam Carpet Cleaning have powerful truck mounted steam cleaning machines that can deeply clean your grout! The same detergents are not used in every tiled room. The bacteria found in the bathroom differs from what is found in a kitchen or entryway. An experienced technician is well trained to use the appropriate chemicals in applicable rooms. Ensuring you permit a professional to do their deep cleaning ritual will only prolong the beauty and durability of your tile and grout. Depending on how much traffic travels through your tiled areas, how much abuse it endures, and how much personal upkeep you conduct, depends on how often you need this service. The average homeowner usually notices a desire for a professional tile and grout cleaning every couple years, though once a year is probably recommended to keep your tile and grout cleaned and sanitized. Just as you come to enjoy the benefits of a professional carpet cleaning, getting your tile and grout cleaned is extremely favorable and only provides a clean home and the life span of your tile and grout. Skilled professionals from LA Valley Steam Carpet Cleaning can keep your tile and grout beautiful and clean. Call us for a free consultation. Copyright © 2015 LA Valley Steam Carpet Cleaning. All rights reserved.